what I have to show you today is Nicole Me+Blue. The polish was so beautiful on its own that I didn't really add anything else to it. It's too bad my cam did not capture the beauty of Me+Blue. 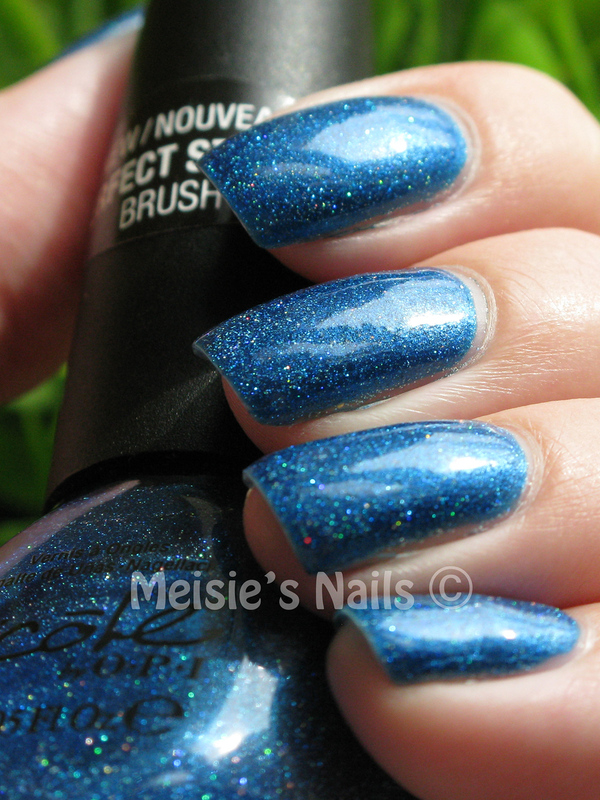 It's is such a nice blue with fine holographic glitter. My pictures just don't do this polish any justice.